It's bright and vivid. It's bold and colourful. 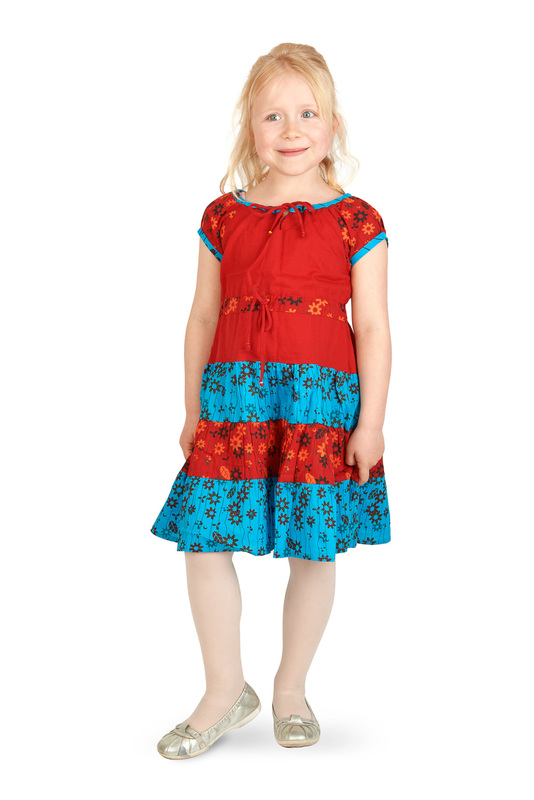 In fact this is one of the prettiest children's floral print dresses we've ever seen. 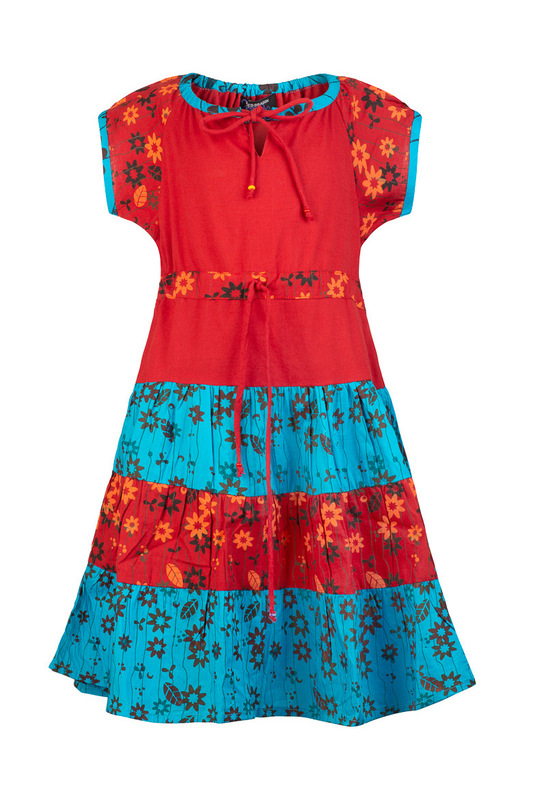 How about turquoise blue and bright orange for a winning combination? It's so summery and fresh with its fitted bodice and sweet A line layered skirt, beautiful printed flowers and contrasting trim at the sleeves and neck. 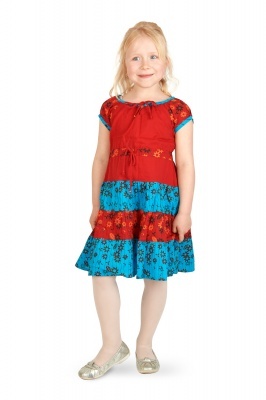 This lovely child's summer dress is hand made in Nepal with love and dedication, from 100% non stretchy cotton, a lovely patchwork of printed fabrics to delight your little girl and make the season go with a swing. Size 2 - 4: chest 24", length 22"
Size 4 - 6: chest 26", length 24"
Size 6 - 8: chest 28", length 26"
Size 8 - 10: chest 30", length 28"
Size 10 - 12: chest 32", length 30"